I’m almost a month late in noticing this, but Lynn Willis, prolific game design and Chaosium employee, passed away on January 18 of this year (2013). 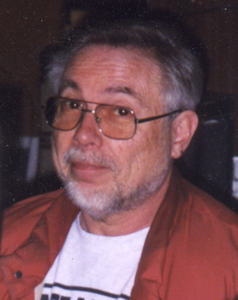 Lynn had a large impact on the gaming industry, and he designed several games that I personally enjoyed, such as Stomp, Dragon Pass, Olympica (my favorite microgame, which I have converted into miniatures recently), Bloodtree Rebellion and most notably Arkham Horror (the first version). Lynn got his start with one of my favorite old companies, Metagaming, and designed two micros (Olympica and Holy War) as well as GODSFIRE, which is notable for it’s odd three dimensional hexes. After a short period of boardgame design in the late 70s and early 80s, he was primarily associated with roleplaying games. From about 1980 onward the vast majority of Lynn’s output was in the roleplaying game niche, specifically supporting Chaosium’s flagship CALL OF CTHULHU game. Still, he found time to branch out and wrote or co-wrote the excellent RINGWORLD and STORMBRINGER RPGs (both of which I had at some point), RUNEQUEST, several novels, and material for other RPG systems. He was a versatile guy. Lynn Willis hearkened back to a great time in gaming (for me, anyway), the late 70s and early 80s. The gaming world is a little duller with his passing. Rest in Peace, Lynn Willis. I liked his games, and still own his entire boardgame output, except for Arkham Horror. I even owned Engage and Destroy for a while. Olympica was one of my first and still favoured Microgames!